I'll be the first to admit I'm not a jeans girl, but lately I have been coming around to jeans and pants in general. One of my issues with denim is the fit and affordability; it feels like it's hard to find a great pair of jeans that incorporates a great fit at a decent price. Luckily there are lots of great women's jeans at Bonmarche to choose from. 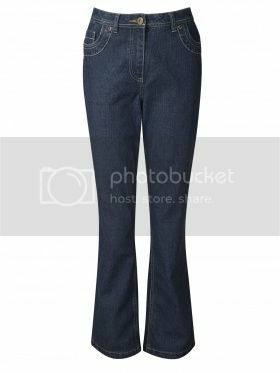 The cuts of denim I like the most and have been experimenting with are the wide leg and trousers styles, so this trouser style pair is perfect and a steal at £15 or under $30 U.S.